Donald Trump generated some breathless commentary last week (perhaps, for once, unjustified) for suggesting, in response in part to those who have pointed out that some of the policies he has pseudo-proposed would enlarge the deficit, that the US government can always pay its bills: “This is the United States government. First of all, you never have to default because you print the money, I hate to tell you, OK?” (He had also suggested that the government might buy back government debt at a discount if interest rates rise. Dean Baker argues this would be pointless, not disastrous.) Among the responses to these comments were claims that this “money printing” business would, ipso facto, be (hyper)inflationary. 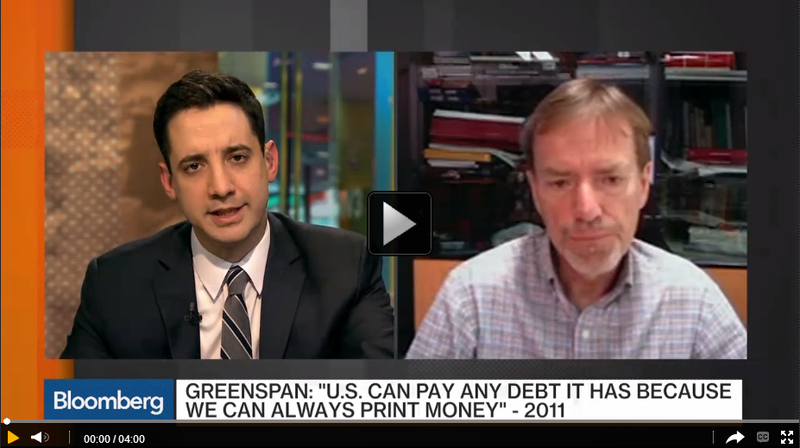 L. Randall Wray spoke to Bloomberg’s Joe Weisenthal about the issue. Wray emphasized that the government always spends by “printing money,” or more accurately, by crediting bank accounts through computer keystrokes. With respect to whether Trump’s purported policies would or would not be inflationary then, the central question for Wray is not whether Trump would or would not have the government “printing money,” but whether the economy would be at full employment. At that point, a government deficit of sufficient size could be inflationary (in other words: “So, yes, deficits do matter, but not for solvency“).